I have been a diagnosed type 2 diabetic for 3 years now. If you are not a diabetic, let me tell you that diabetes is a chronic illness that consumes your life. It is a constant struggle with maintaining glucose (blood-sugar) levels, constantly having to analyze when and what you eat, staying away from sugar/carbs in a sugar/carb obsessed world, losing weight, and facing the fact that I will have to live with this for the rest of my life. I did well and lost 45 lbs. my first year. I still do okay, but I often feel completely overwhelmed and when I look at the fact that I am only 43 and am living with what could be considered a life and death disease (depending on how it is maintained) I feel completely unable to maintain this disease alone. I am scared that I will die before my kids are all grown. I feel guilty when I eat a candy bar, ice cream or other sugar. I feel completely unable to discipline myself to exercise and eat right. I feel totally helpless right now. This is something I will always struggle with. I know that I can not deal with this illness on my own. I am not strong enough or disciplined enough on my own. I have to believe that through Christ, who died for me, I have the strength the conquer this thing. I have to be willing to surrender this illness to God, who is in control of ALL things. I am weak, but He is strong! If you are overwhelmed in any area of your life, surrender the situation to God. God is so good and merciful to meet us where we are. God loves you and wants to walk this journey with you. He never expects us to struggle alone. Cry out to Him, tell him your struggles. He already knows, He just wants to hear it from us. I will be walking this path with you. Remember, my friend, you are never alone! I am coming to you now, to surrender this struggle with diabetes. I am admitting, what you already know, that I am to weak to carry this load alone. I need you! I need you to help me do what I need to do to live a healthy long life. On my own, I am weak, but with you beside me, I am strong. I thank you and praise you for loving me enough to carry the load of diabetes with me. I trust you completely and I never want to live without you! Let the words of my mouth and the meditation of my heart be acceptable in thy sight, O Lord, my rock and my redeemer. If I am completely honest, I have to admit that the words of my mouth and the meditation of my heart have not always been acceptable in God’s sight. I have been guilty of yelling at my kids when I am frustrated and overwhelmed. I have been guilty of snapping at the cashier in my impatience and I have been guilty of complaining about co-workers when they aren’t doing things my way. I have also been guilty of thinking un-Christlike thoughts. I don’t like when I do these things and am immediately filled with remorse. 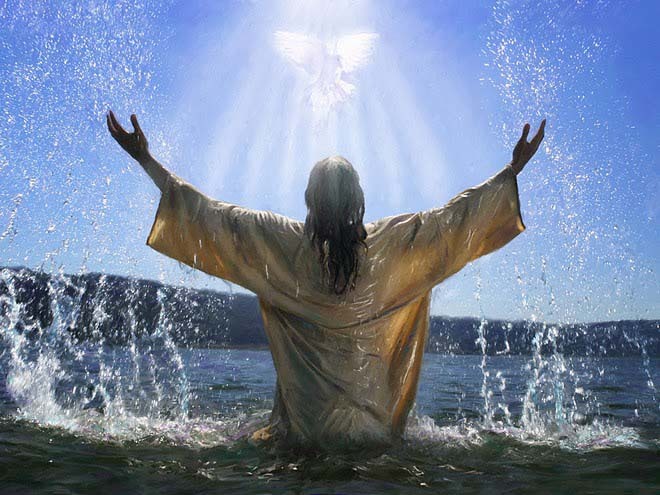 My loving Father in heaven convicts my heart and brings me back to Him. It is an ongoing battle though. Every day is filled with opportunities to lash out with unkind words and harbor unkind thoughts. 5 Likewise, the tongue is a small part of the body, but it makes great boasts. Consider what a great forest is set on fire by a small spark. 6 The tongue also is a fire, a world of evil among the parts of the body. It corrupts the whole body, sets the whole course of one’s life on fire, and is itself set on fire by hell. 7 All kinds of animals, birds, reptiles and sea creatures are being tamed and have been tamed by mankind, 8 but no human being can tame the tongue. It is a restless evil, full of deadly poison. Study God’s Word: Meditating on God’s word allows us to hide His word in our hearts so that we may not sin against Him (Psalm 119:11). If you are struggling with an issue today, rest assured there is a scripture that addresses that issue. The Bible is definitely my go to book when dealing with a tough situation or simply to sing praises to my compassionate and loving Father. There are many free Bible studies for women online and relatively inexpensive on Amazon.com. If you have a Christian book store near you, check there also. With today’s obsession with media and entertainment, it is easy to let things into our hearts that are evil. I have been astounded at the violence and sexual content in television shows lately. We have to make the decision to turn the T.V. channel/radio station or turn them off to keep our hearts pure before God. 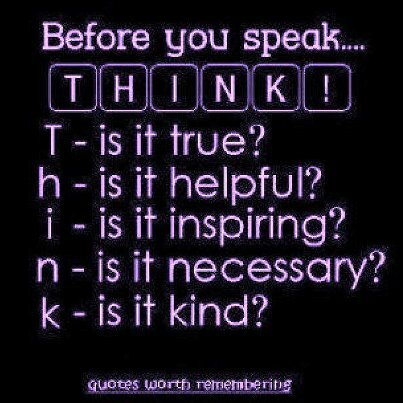 Think Before You Speak: this is one I have trouble with! When someone says unkind words to me or simply has a different opinion from mine, it is sometimes hard for me to keep my mouth shut. Especially, when my pride has been wounded and my ego bruised. I constantly feel like I have to defend myself or have the last word. I have gotten better at keeping my mouth shut, praying for wisdom in the situation and choosing my words more carefully, so I don’t add fuel to the fire. As in many other areas of my life, I am a work in progress. Sometimes we simply need to walk away from the situation when our evil tongues are itching to sting someone with it’s deadly poison. In those situations where we can’t walk away, pray for God’s wisdom in dealing with the situation. I promise He will give you the right words to use in every situation. Pray: I am constantly in prayer throughout my day. Now, before you think I am some super spiritual person, let me reassure you that some of those prayers are of a whiny child simply wanting an easier day at work. I know people who can sit in prayer for hours at a time and I am glad that there are those who feel called to that type of prayer life, but I am not one of them. With 5 kids, a job, and other responsibilities, I have found it necessary for me to pray on the go. God has called us to pray without ceasing (1 Thessalonians 5:17) anyway, so it makes sense that being in a continual conversation with God throughout our day is going to help us in deflecting the poison arrows of the enemy. Asking for forgiveness immediately when we sin, asking for wisdom, patience, self-control etc. immediately as a difficult situation arises, saying a prayer of thanksgiving and gratitude when given good news or when we have been the recipient of God’s favor. Being in that continual conversation puts us in the place where the meditations of our heart will be acceptable to Him. Get involved in a local church: getting together with other Christians provides us with a support system when we need one and accountability partners when we are facing the temptation to sin. Becoming active in the local body of Christ keeps us close to the Vine (Christ) and provides the strength we need to keep the enemy at bay. I have addressed five important ways to stay close to God and be that example of Christ in our lives. It takes discipline. Being a Christian is not easy, but it is so worth the effort to have that peace in my life, even in the midst of chaos at times, that comes from knowing and living in Christ. Being attached to the Vine gives us power over Satan and allows us to live victorious lives no matter what circumstances we may be living with. I encourage you to incorporate these steps into your life and you will find yourself a living example of Christ. We cannot tame our tongues on our own, but with God’s help the words of our mouths and the meditations of our hearts will be acceptable to the One we seek to honor and glorify.